in 1976? Anyone with a brain mounted computer will be able to tell you. ….Education will have to change drastically, and the fact based portion of schooling will become trivial. You’ll only need to learn how to look stuff up in a given field. All of accounting will take a week to learn. All fields will be trained more like librarians are today. Call me skeptical on two grounds. First, I’d say Adam is thinking too small. If this kind of thing is inevitable, it will pretty quickly turn into a lot more than just a gateway for raw data. 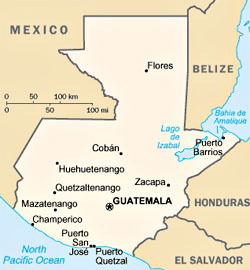 Knowing how to spell Guatemala and having instant access to its per-capita GDP in 1976 ($686 according to these guys) will be the least of the wonders of our computer-aided future. But even if he’s right, the fact is that librarians don’t know how to do accounting. Nor do they know how to perform brain surgery, calculate an IS-LM curve, or write a blog post.1 There are lots of kids whose computer retrieval skills are vastly superior to mine, but it does them no good if they’re trying to figure out anything more complicated than the showtime for Jackass 3D. That’s because aside from trivia, fact retrieval isn’t very useful unless you know what facts to look for in the first place, how to evaluate those facts, whether they’re reliable, how to put them into context, what’s missing, and what it all means. My retrieval skills are better than virtually any teenager’s not because of my technical prowess, but because I have some idea of what to search for in the first place, how to follow those results to other results, and how to figure out if the stuff I find is meaningful in any but the most frivolous way. And that’s because I have a store of background knowledge available to me from decades of broad-based fact gathering and actual learning. Faster retrieval, I like to say, makes smart people smarter and dumb people dumber. If anything, it makes schooling, including the fact-based part, more important than ever. 1OK, they might know how to write a blog post. But you know what I mean.